"The wine the Piemontesi most like to drink", and "the little sweet one" are descriptions of this, the most vivacious of wines. Historically Dolcetto has its roots in the Dogliani region of Piemonte, Italy. 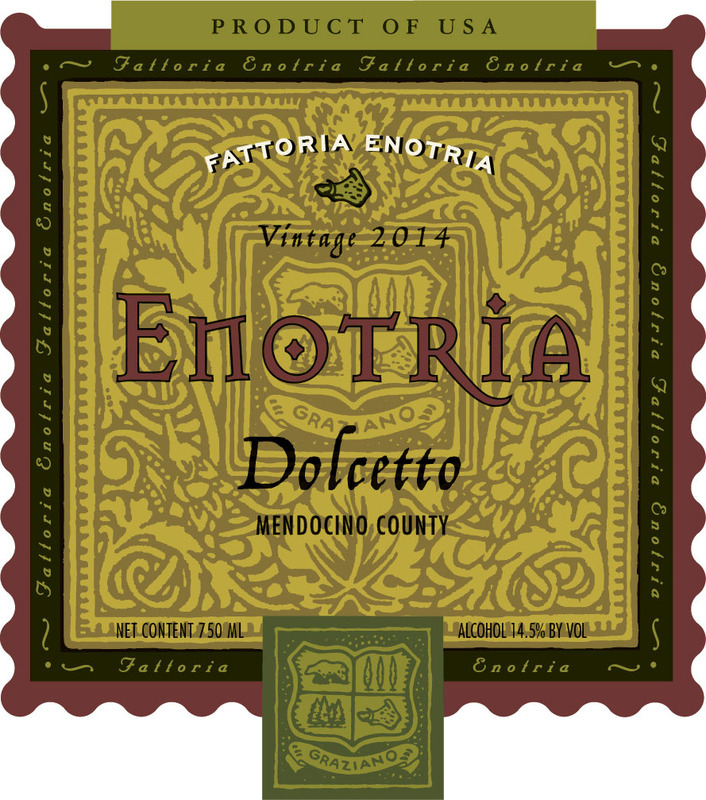 There, and in Mendocino it shows its best attributes, deep dark purple color, ripe full tannins and heady aromas and flavors of blackberries and plums. Our version, which is grown in the foothills overlooking the Russian River in Mendocino County, has been aged in a combination of French Burgundy and American oak barrels for over 24 months. This long ageing period helps to round out the full tannins and add complexity to its fruity aromas.